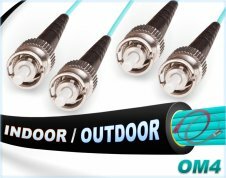 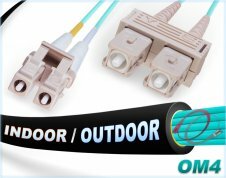 OM4 SC ST 100G In/Outdoor 50/125 Multimode Duplex Fiber Optic Cables. 100G OM4 SC ST Fiber Patch Cable | Indoor/Outdoor Duplex 50/125 Multimode Jumper | Length Options: 0.5-300M. 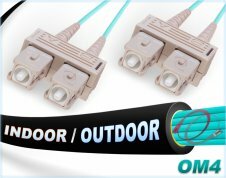 Tightly buffered in a flexible, black, indoor/outdoor, water & UV resistant, direct burial jacket and comes pre-terminated with duplex SC (clips provided upon request) and ST connectors. 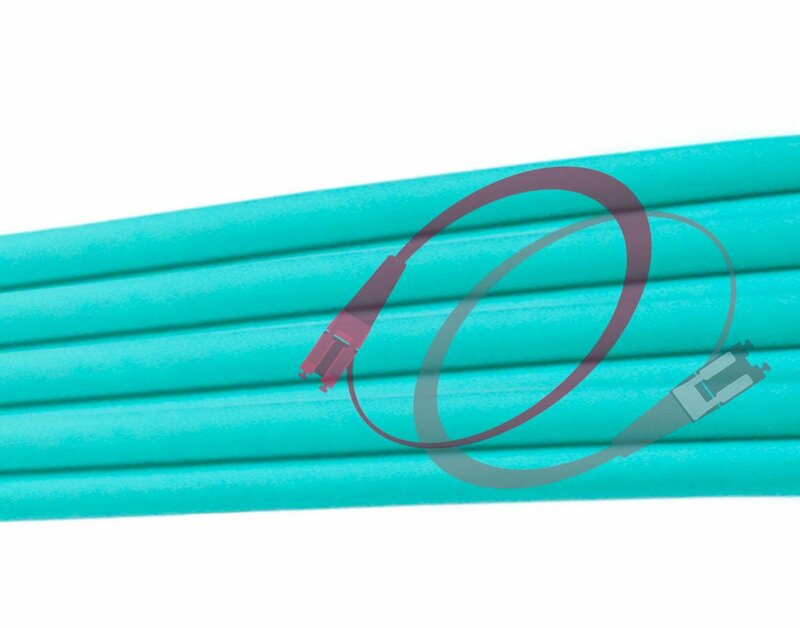 Each fiber breakout has 18" of 3.0 mil furcation tubing for added protection and durability. 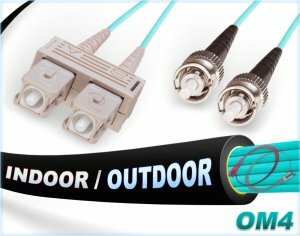 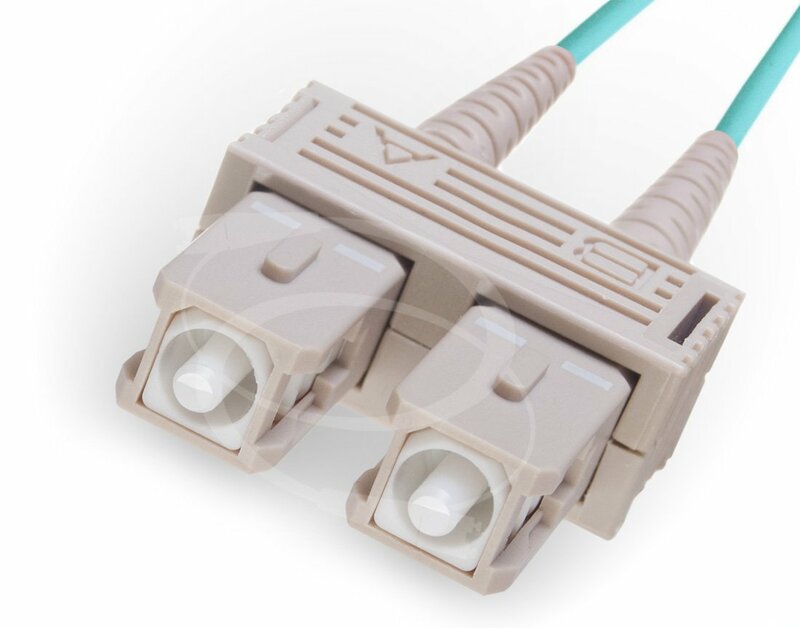 OM4 SC ST Fiber Patch Cable | 100Gb Indoor/Outdoor Duplex 50/125 Multimode Jumper Cord. 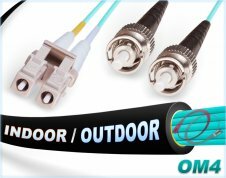 Accelerate your network's performance to the edge of technology with this Corning 50/125um core/cladding, OM3/OM2 backwards compatible, laser optimized 10/40/100Gb multimode fiber cable and extend your 100Gig reach up to 150 meters. 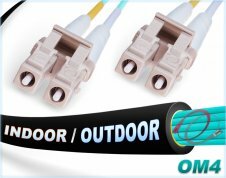 Assembled with durable, om3/om2 backwards compatible, black, direct burial, indoor/outdoor fiber cable that protects against moisture and sunlight, is immune to electrical interference and has an operating temperature between -40°C and +85°C. 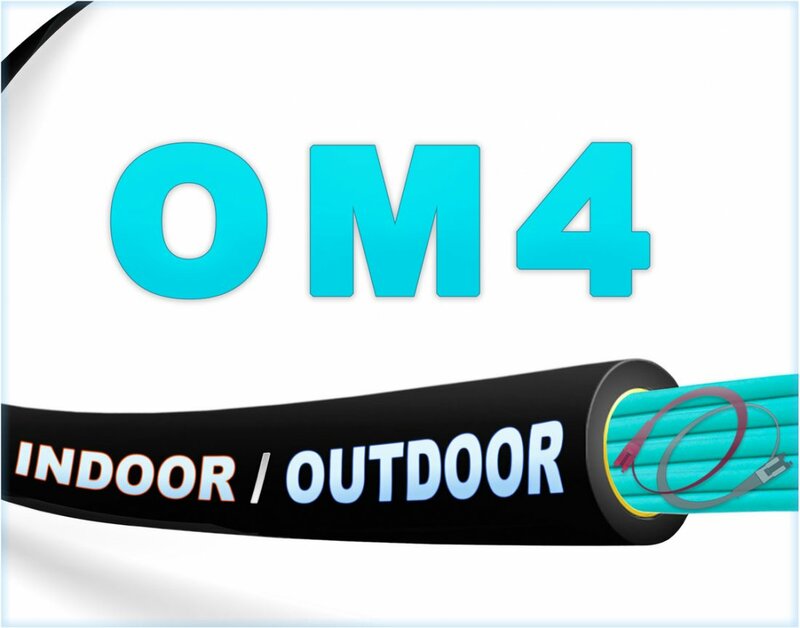 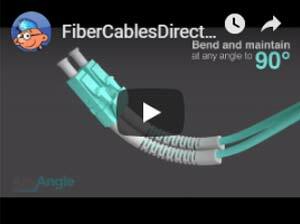 Additionally, each fiber breakout has 18in of 3.0mm furcation tubing for added durability. 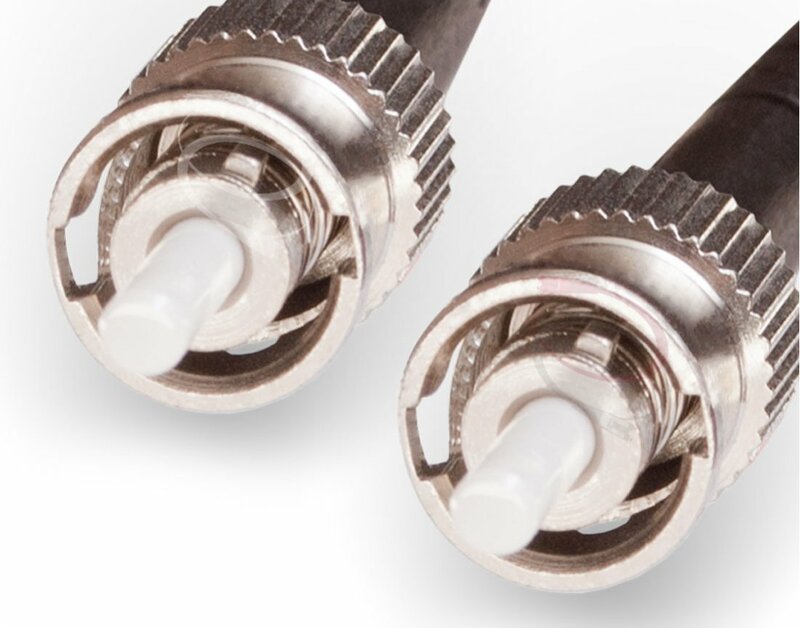 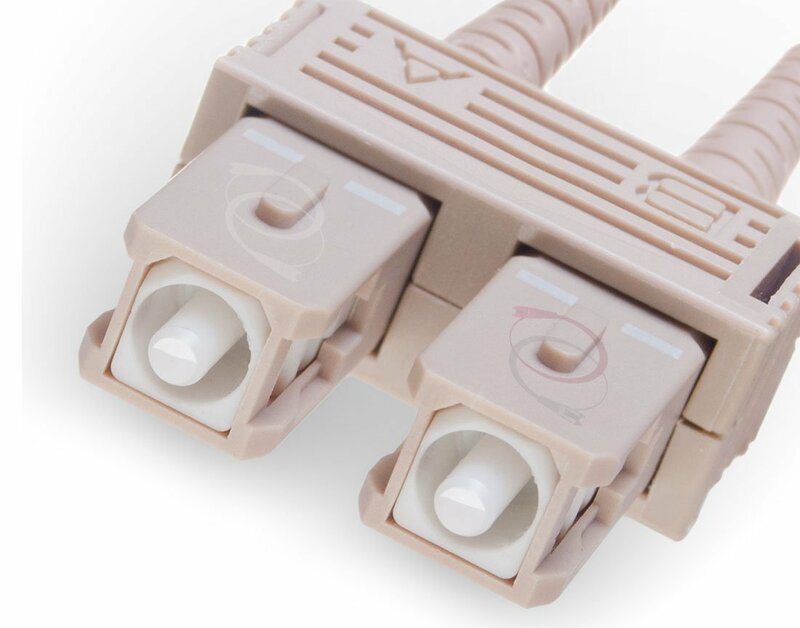 This rugged, OM4 fiber cable comes pre-terminated with 2.5mm ceramic ferrule SC connectors (clips provided upon request) and push/twist 2.5mm stainless steel ST connectors.